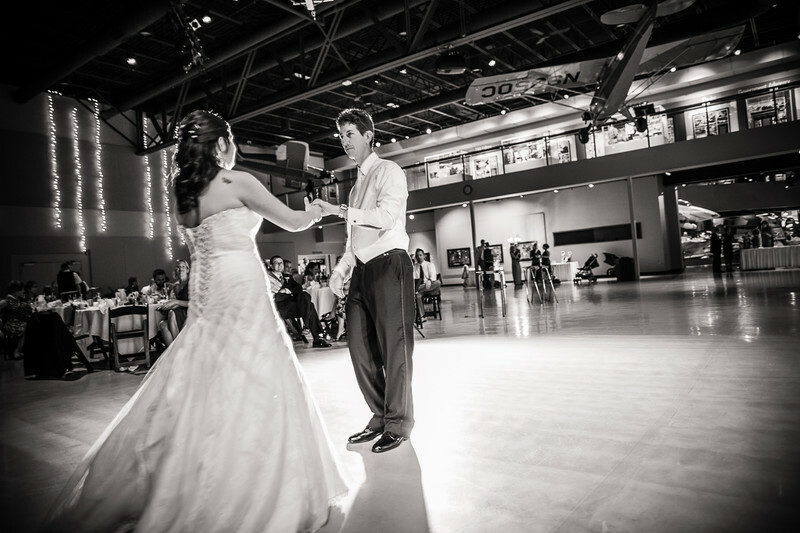 This Oshkosh wedding was held at the EAA AirVenture Museum. The reception was in the Eagle Hangar. How cool is it to have the reception surrounded by airplanes and jets. Lots of aviation history everywhere you look. The bride's and groom's wedding was held in a hangar which was pretty neat and unique. 1/40; f/2.0; ISO 400; 24.0 mm.